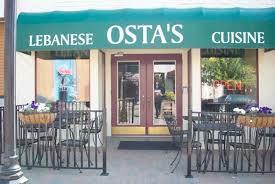 Osta’s Lebanese Cuisine is a Grand Rapids restaurant. Venerable eatery doling out classic Lebanese fare plus beer & wine in an informal, muraled space. Open 5 p.m. to 8 p.m. Tuesday through Saturday.